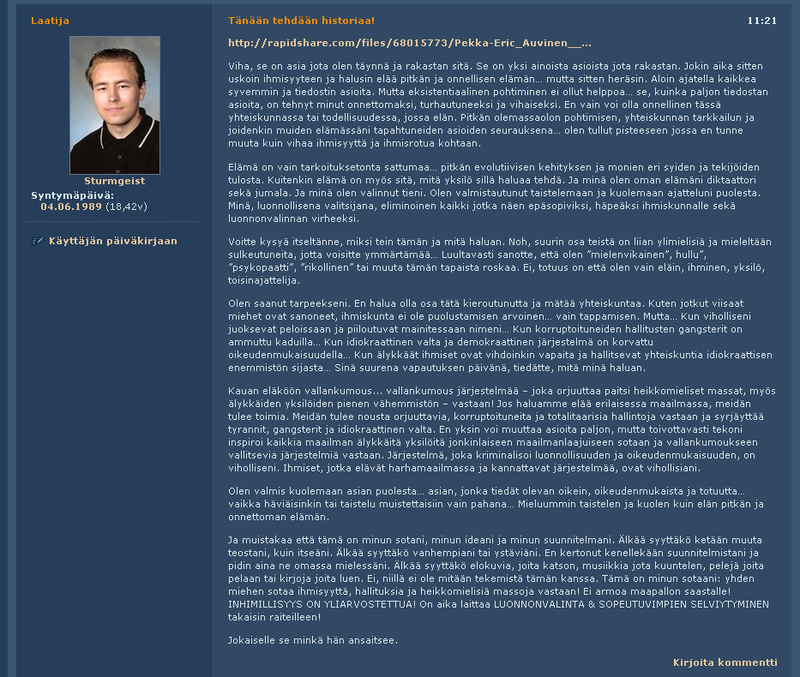 Some of the content here was originally published by Pekka-Eric Auvinen before the Jokela School Massacre on 2007-11-07 as a "Media Pack", which I originally found at http://www.kimmo.org/jokela/ and on RapidShare. The .flv files below are Flash videos from Auvinens now terminated account on Youtube (sturmgeist89). These are playable using e.g. VLC Player (free, open software). The Flash video files were retrieved using this "YouTube ripper". 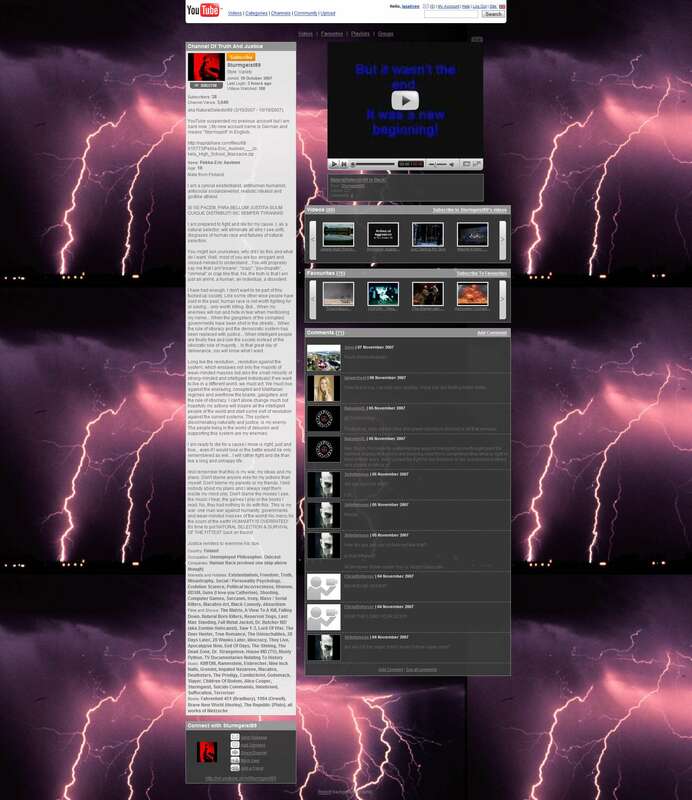 An archived, static YouTube profile page with broken video links is available elsewhere and as a screenshot stored here. On 2008-04-17 the Finnish National Bureau of Investigation released a report on the investigation (esitutkinta) of the shooting, including an animated reconstruction. Copies of the pdf and video files are available here. Please consider the events discussed here a wake up call, or point of reference in the struggle against loneliness, isolation, unidentified illness and faceless anger of all kinds in our societies. 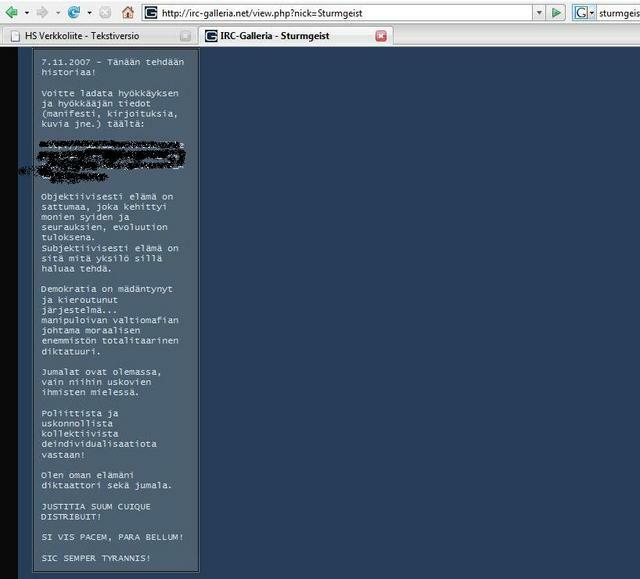 I also keep available a selection of files related to the 2008 Kauhajoki school shooting.